The information explosion has led to a massive increase in opening theory. But how often do you win a game with a prepared line? What gives strong players the edge over their opponents is not some blockbuster novelty, but a deep understanding of the pawn structures to which their openings lead - an understanding that lasts into the middlegame and endgame, and is transferable between different openings with similar structures. 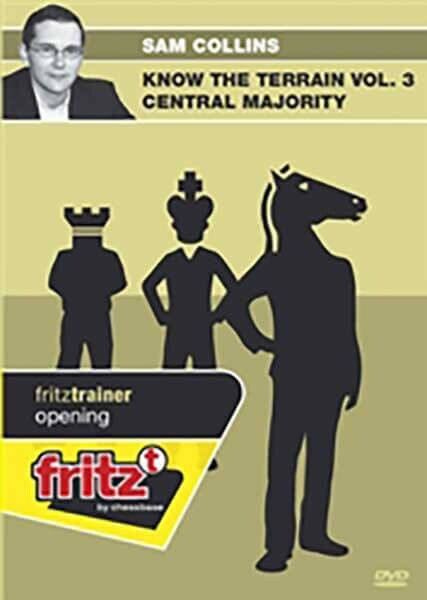 In this DVD, Sam Collins looks at the Central Majority (white pawns on a2, d4 and e4 against black pawns on a7, b7 and e7) which is characteristic of both the Grunfeld and Semi-Tarrasch Defences. Whites space advantage gives him good chances to generate a middlegame initiative and a kingside attack, while Black hopes to reach an endgame where his outside passed pawn could be decisive. Collins also investigates the closely related passed d-pawn structure which arises when the e-pawns are exchanged - here White has a highly dangerous passer on the d-file and the key struggle revolves around whether this pawn is a strength or, when attacked or solidly blockaded, a weakness. Whites chances have been repeatedly demonstrated by Kramnik and Carlsen while Blacks cause has been championed by Svidler, Ivanchuk, Van Wely and Gymesi, with Kasparov generating significant ideas for both colours.